Refuge Facts: * Established: 1957. * Acres: 84,000. * Located in: Monroe County, FL. * Location: The refuge is located 100 miles southwest of Miami and 30 miles northeast of Key West, FL along U.S.#1. Headquarters is on Big Pine Key in the Big Pine Key Plaza off Key Deer Boulevard. * Other management: 700 acres through the State CARL program, 200 acres owned by the Monroe County Land Authority. * About a third of the uplands portion of NKDR is on Big Pine and No Name Keys. * Satellite refuges administered as part of the complex include: Crocodile Lake NWR, Great White Heron NWR and Key West NWR. Natural History: * Refuge covers the truncated historical range of the endangered Key deer, including habitat critical to its survival. * Refuge is home to the imperiled tropical hardwood hammock habitat and 22 federally listed endangered and threatened species of plants and animals, five of which are found nowhere else in the world. * Upland forests 2,400 acres; shrub wetland 5,100 acres; wetland marsh 1,050 acres. * Key deer population may have reached a low of 27 in 1957 and have rebounded to approximately 800 today. Financial Impact of Refuge * 13 person staff. * More than 90,000 visitors annually. * Current budget (FY 05) $1,041,000. 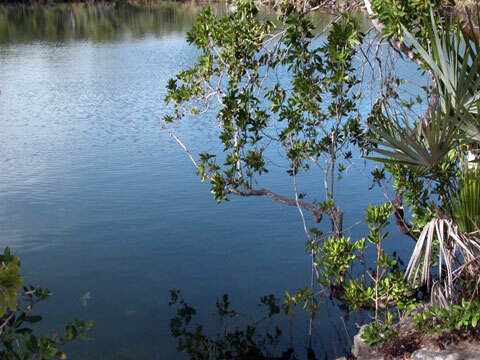 Refuge Objectives * Protect and preserve Key deer and other wildlife resources in the Florida Keys. * Conserve endangered and threatened fish, wildlife and plants. * Provide habitat and protection for migratory birds. * Provide opportunities for environmental education and public viewing of refuge wildlife and habitats. Management Tools: * Deer management as an endangered species, including medical and rehabilitation, habitat restoration and enhancement, routine herd health monitoring and population checks, and research on population density, behavior and migration patterns. * Prescribed fire. * Routine wildlife monitoring. * Habitat restoration. * Mechanical and chemical control of invasive exotic plants. * Education/interpretation. * Law enforcement. * Partnerships, both locally and nationally. * Volunteer assistance with projects and programs. * Friends group-Friends and Volunteers of Refuges (FAVOR). Public Use Opportunities * Trails. * Wildlife observation. * Photography. * Environmental education. * Special access: Persons who wish to conduct research, commercial operations, or other activities may require a special use permit. If you are unsure if your activities will require a special use permit please contact the refuge. Click here for instructions on applying for Special Use Permits. Calendar of Events April: Volunteer Recognition Ceremony, National Wildlife Week, Earth Day. April-May: Key deer fawning season. May: Migratory Bird Day. August: refuge birthday. October: National Wildlife Refuge Week. Florida Keys Birding and Wildlife Festival.